I’ve had this cache on my watch list for some time, and finally got some time to run down and find it. Not sure how it originally caught my eye, but mentions of abandoned bridges and babbling streams had me envisioning an awesome cache. The bridge was a bit disappointing. The original bridge was re-decked at some point in its past and now it just looks like a hack. Shame. The old iron bridge looks like it was beautiful in it’s time. The natural views were awesome though. I’m thinking this area needs another cache or two for sure. I’m also thinking that there will be a photo shoot or two here! Here’s the cache page on Geocaching.com, and here’s My log specifically. I stopped by the small and quiet Dodds Cemetary while I was out scouting for locations for a photoshoot yesterday mostly because I wanted to consult the map and didn’t want to try to do so while moving on the bike. found myself thinking, “Hmmmm. This would be a good place for a geocache!”. Apparently someone else thought so too. GC3GPPY From Dawn to Dust in Dodds. As it turns out, the geocache name makes a reference to the hours visitors are allowed in the cemetary. 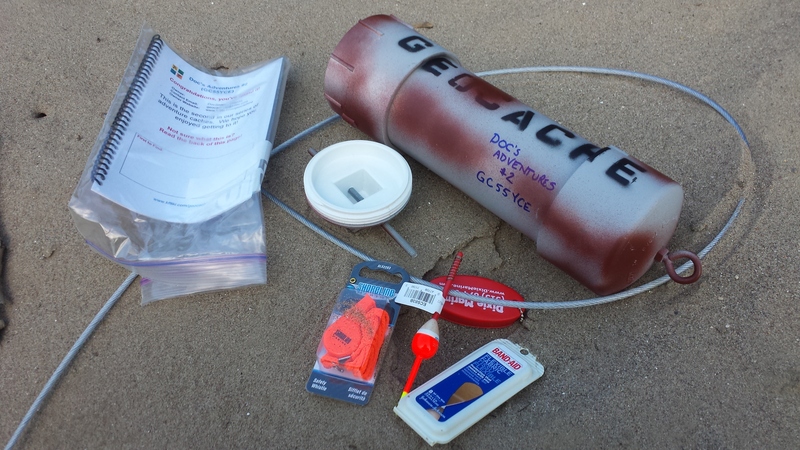 I found the cache without a lot of trouble, but when I got within probably 50 feet of it, I had to continue with geosense, because the GPS was all over the map! In logging the cache, I discovered that others had reported this phenomenon as well. In particular, there was another cache here previously, and many of those cachers reported the GPS problem too. Ghosts perhaps? In any case, I think it’s disrespectful to hunt for a cemetary hide and not spend some time seeing the stones and learning about the history. Apparently there are five veterans here, although I didn’t see them all. Dodds was also a stop on the CLN Railroad, of which I have some interest, and was the northern terminus for some time. I know I’ll be researching this further as I look into what remains of the CLN. Here’s my specific log for the cache.